On the importance of human agency. Update (6 October 2011) I awoke to the sad news that Steve Jobs, visionary former CEO of Apple, has died. If anyone exemplified the power of human agency, it was Steve. Thinking back to meetings I’ve attended over the years leads to many different experiences blurring into one. There are, however, a few of these experiences that do stand out and, of these, two in particular are quite memorable. The first was a staff briefing session at a school whilst I was on my first teaching practice in 2003. The second was in April 2010 when I joined JISC infoNet. Why were they so memorable? Because they involved steep learning curves and made me think. The jargon and acronyms being bandied about were a useful shorthand to others but confused me. A few meetings later in each case and I was au fait with the terminology and, indeed, using it myself. I had built some ‘mental sandcastles’. I used to teach History. In fact, after my degree in Philosophy I self-funded an MA in Modern History to get on to the PGCE Secondary History course at Durham University. It’s fair to say I’m very interested in, and enjoy, reading and talking about history. The worker is by nature less imaginative, more level-headed than the capitalist. This is what prevents his becoming one. He is content with small gains. Trade Union officials think about the petty cash; the employer speculates in millions. You can see the difference in their representative institutions. There is no scheme too wild, no rumour too absurd, to be without repercussions on the Stock Exchange. The public house is the home of common sense. Some people may like that kind of stuff, but to my mind it’s severely lacking in resonance. I don’t seem to inhabit the kind of world A.J.P. Taylor describes. As I attempted to show with Exhibit A, jargon and acronyms can be useful if people are using them as a shorthand to express something that has previously been expressed in detail. Nevertheless, I think it’s probably a good idea to have meetings and conversations every so often where jargon and acronyms are banned. In my experience, people build ‘mental sandcastles’ ostensibly made of the same stuff as those created by others but actually differing based on their experiences, prejudices and preferences. Kicking down those sandcastle once in a while (to continue the metaphor) is probably a good idea. Things don’t just happen. They are made to happen. This can be due to natural proceses but also, more often than not, by individual human agency. Organizations have agency, of course they do. An organization is a group of individuals who have come together around a common cause. That organization may seem to ‘express’ certain traits (e.g. a conservative outlook) but this remains the result of collective individual action. So, to get to my main point in a rather roundabout way, when I see techno-determinist opinions (for that is what they are) dressed up as inevitable facts I have a similar reaction to that of my teenage self reading A.J.P. Taylor. You may well predict that the biggest trends in 2015 will be x, y and z. But, given that nobody predicted everything kicking off in the Middle East earlier this year, you’ll excuse me whilst I look at what people are actually doing whilst you peer into your crystal ball. The future is ours to shape. Let’s not forget that. Hog roasts, Amazon EC2 and traffic lights. I feel that these images, some of the last taken by photojournalists Chris Hondros and Tim Hetherington in Libya before their deaths earlier this week, link in some way to the following. I’m just not sure how to work them in whilst retaining any form of subtlety. Question: What links a hog roast, the recent Amazon EC2 outage and traffic lights? Answer: The notion of Civil Society. At lunchtime today my family and I are heading down to the pond and newly-formed wildlife reserve behind the small cul-de-sac in which we live. The pond was formed by some kind of mining-related sinkhole that I don’t pretend to understand. What I do understand is that it’s now a beautiful space that adds value to our life (and to our house). Today is the opening ceremony at which a hog roast will be enjoyed free-of-charge, with people coming together to celebrate the space. More spaces for meeting means a greater likelihood of unmediated interaction. Last March I was in Turkey with my good friend and collaborator Nick Dennis at the request of EUROCLIO which is doing some work on behalf of the Dutch government. Nick and I helped train History teachers on the use of technology in education (see presentation here), part of a many-pronged strategy by part of the Dutch government aiming to raise the level of Turkish ‘civil society’ in preparation for the latter eventually joining the European Union. With the Turkish educators, technology was a trojan horse as the whole point of the programme was to get across the ‘multiperspectivity’ of History and, once that was established, equip them to be able to communicate that to the next generation. The only other strategy I can remember from the ten or so mentioned was that of making sure that traffic lights both worked properly and were sequenced in ways that were ‘European standard’ (i.e. enabled a good flow of traffic). It’s the little things that make a big difference. So far, so obvious. The wildlife reserve and our work in Turkey fairly relate directly to the definition of Civil Society given earlier. But what about the Amazon EC2 outage? What’s that got to do with anything? Cloud computing is all very well until someone trips over a wire and the whole thing goes dark. Reddit, Foursquare and Quora were among the sites affected by Amazon Web Services suffering network latency and connectivity errors this morning, according to the company’s own status dashboard. Having recently considered moving this blog to Amazon EC2 because it’s ‘never down’ I breathed a sigh of relief. Bluehost may be slower at serving up content than it used to be but at least it’s never completely failed me. Outsourcing via set-it-and-forget-it only works if you’ve got a backup plan. Unhosted is an open web standard for decentralizing user data. On the unhosted web, data is stored per-user, under the user’s control. That’s where it belongs. I’m no fan of privatising everything within society but I do think that sometimes we rely on the state and big businesses a little too much to provide things we can organize through communities and networks. Despite the #fail that is the Big Society in the UK the idea behind it remains sound. Unhosted is one way in which we can developers can come together as a force for good in the online sphere – just as the wildlife reserve and training Turkish educators were strategies in other spheres. By way of conclusion, therefore, I’d like to challenge you. Be the change you want to see in the world. Small changes can have large symbolic actions and lead to a domino effect. Take next week’s #purposedpsi event in Sheffield, for example. There’ll only be about 50-60 people but, due to networks (and networks of networks) we’ll have a disproportionate effect on people’s thinking and conversation. There’s a few tickets left if you’d like to join us. So, get out there and do something! Go and make the world a better place. Revolutionary tools do not a revolution make. A lot has been made of about the role of social networking tools such as Facebook and Twitter in the uprisings in the Middle East and North Africa recently. Whilst I don’t know enough about Egypt, Libya and Bahrain to comment on their internal political situation, what I do know is that it takes more than the mere ‘potential’ of something to make a difference in practice. And so it is with education. Mark Allen’s contribution to the #purposed debate reminded me of the important difference between something’s being available and an individual or group having the requisite skills and critical faculties to use it in a new, interesting, or even revolutionary way. As I mentioned in my comment on Mark’s blog, one of the reasons I think everyone should study a little Philosophy and History is because it prepares one to consider the ways things might, could or should be rather than being limited to tinkering within existing parameters. So next time you read or hear of a technology or service that is going to, is, or has ‘revolutionised’ something, think of the context and milieu into which that tool or idea has been launched. As with Purpos/ed, it’s very likely you’ll find more than a hint of latent demand and the ‘adjacent possible’ in there. It’s never just about the tool or service. Image CC BY Rev. Strangelove !!!! Why everyone should learn a little History and Philosophy. I’m all for breaking down the arbitrary and artificial barriers between ‘subjects’. I can remember having no idea what to specialise in at age 16 (and so hedging my bets with Maths and Physics on the one hand, and English Literature and History on the other). Despite this wish to see more osmosis between subject areas, the knowledge, skills and understanding that come under the headings ‘History’ and ‘Philosophy’ I believe to be especially important. OK, so I’ve got degrees in both of them but their erosion, I believe, cuts us off from the past and alternative ways of thinking about the world around us. And that’s not a good thing. Past people were neither ignorant bad managers who deserved to be exterminated or dispossessed, nor all-knowing conscientious environmentalists who solved problems we can’t solve today. They were people like us, facing problems broadly similar to those we now face. They were prone either to succeed or to fail, depending on circumstances similar to those making us prone to succeed or fail today. Yes, there are differences between the situation we face today and that faced by past peoples, but there are enough similarities for us to be able to learn from the past. It’s surprising, and encouraging, that many of those interested in educational technology have a background in the Humanities; the latter lends, I believe, a critical element that underpins a wider digital literacy. I’ll be speaking several times this year on ‘The Essential Elements of Digital Literacy’. You can be sure that I’ll be stressing the importance of the criticality developed in the Humanities subjects over some of the shortsighted technological determinism that sometimes rears it’s ugly head online. I can say with some confidence that any time you wonder how Device X ‘will change education’ you’ve got it backwards. As a write this post we’ve got the lights off at the front of our house and, instead of being parked on the drive, our car is parked in a nearby street. Why? It’s Hallowe’en. It’s not a pagan festival. It was originally a couple of days of feasting without much religious or supernatural significance. Before the 8th century it was celebrated in May. It’s related to the enthusiastic ringing of bells by Catholics on All Souls Day to assist the passage of souls from purgatory. Hallowe’en traditions almost completely died out in England before the 20th century. Around this time, girls traditionally attempted to find out via various ‘signs’ – such as brushing their hair at midnight in front of a mirror – who they would marry. In 1950s England people either celebrated Guy Fawkes night or Hallowe’en, depending on geographic location. There was an ‘explosion of interest’ in Hallowe’en in the 1970s/80s and ‘trick or treating’ due to the influence of American TV series and films such as ET (1982) which depicted such scenes. Teachers have been accused of encouraging the spread of Hallowe’en celebrations to remove the focus on Guy Fawkes (‘Bonfire’) Night and associated safety concerns. Hallowe’en parties in England have been going since around the 1920s/30s and are now the busiest time of the year for fancy-dress hire shops. The above were gleaned from a book I came across this weekend at Barter Books. I added photos of relevant pages to my Evernote account. So, in conclusion, dressing up as something scary and begging is not something I’ll be encouraging my children to do when they’re old enough. Whilst I could open the door and lecture each group of children, the words ‘water’ and ‘off a duck’s back’ spring to mind. And, to be honest, I don’t want to be ‘that guy’. The power of the media and invented tradition is, unfortunately, too powerful. A brief history of infographics. I recently picked up the classic Designing Infographics: Theory, creative techniques & practical solutions by Eric K. Meyer for an absolute song. Published in 1997, the ‘practical solutions’ part is dated, but the theory and techniques section is as relevant as every. What really interested me was the opening section on the history of infographics, some of which I’d like to share with you. If heiroglyphics count as infographics, then of course they are around 5,000 years old. Sumerian ‘letters’ were combined with pictures to explain concepts, provide explanations and tell stories. A little more recently in the western world, graphics have been used to represent quantitative data. One of the first examples of this is Nicole d’Oresme (1352-82), Bishop of Lisieux, who combined figures into groups and graphed them. Leonardo da Vinci was fond of mixing graphics and text, especially in his Treatise on Painting. Tests have proven that material of the same content has been received, read and acted upon in one form, but discarded in another. These examples, coupled with the knowledge that every reader is offered much more than he can ever assimilate, assert that graphic techniques are too important to be ignored. By 1981 other newspapers were using infographics but it was the launch of USA Today in 1982 and its commitment to using graphics every day that started the real trend. Some of these, however (the types of bread – white, wheat or rye – preferred by members of Congress) were merely filler. In Germany, Der Spiegel had been experimenting with more artistic infographics since the mid-1950s. The dawn of computers had a massive effect on infographics. ‘Desktop publishing’ became more than just a casual phrase when desktop computers, partnered with the first laser printers, led to reductions in newspaper department workloads by 15-20 hours per week. This freed up time to experiment with infographics. With programs available for the Apple Mac such as MacDraw, newspapers no longer required skilled artists laboriously hand-drawing each infographic. As the processing power of computers grew, so did their ability to represent complex data in a visually-appealing way. In 1990, research carried out by the Gallup Organization showed that graphic elements possessed greater power than originally thought. They used computerized headgear to record what readers saw on a page, noticing that visual elements received a great deal of attention. Follow-up studies confirmed this and that readers were left with more memorable impressions than when presented with words only. ‘Information literacy’: its history and problems. Although evident in the literature since the 1970s, the concept of ‘information literacy’ gained real traction in the 1990s with the advent of mass usage of the internet. Suddenly information was a few effortless keystrokes and mouse clicks away rather than residing in great tomes in a physical place. 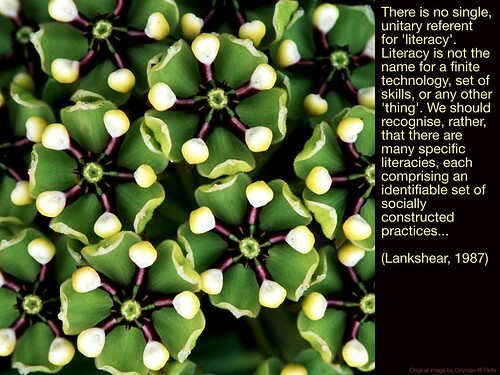 Accessing this information and using it correctly constituted, for proponents of the concept, a new ‘literacy’. This was a time when politicians used the term ‘Information Superhighway’ to loosely describe the opportunities afforded by the internet. Boekhorst (quoted in Virkus, 2003) believes that, indeed, all definitions of information literacy presented over the years can be summarized in three concepts. First there is the ICT concept: using ICT to ‘retrieve and disseminate information.’ Second is the information resources concept: the ability to find resources independently ‘without the aid of intermediaries.’ Finally comes the information process concept: ‘recognizing information need, retrieving, evaluating, using and disseminating of information to acquire or extend knowledge.’ As such information literacy has at times been seen as including computer-related literacies, sometimes as part of such literacies, and sometimes as being tangential to them. From these statements in the late 1980s/early 1990s information literacy developed to include an ethical dimension (‘knowing when and why you need information, where to find it, and how to evaluate, use and communicate it in an ethical manner’ – SCONUL (1999) quoted in Fieldhouse & Nicholas, 2008:52) and an economic dimenstion (‘Information literacy will be essential for all future employees’ – Langlois (1997) quoted in Martin, 2003:7). Information literacy has been seen as a ‘liberal art’ with an element of critical reflection (Shapiro & Hughes (1996) in Spitzer, et al., 1998:24), critical evaluation (Open University Library website, in Virkus, 2003), and as involving problem-solving and decision-making dimensions (Bruce, 1997). The problem with such a definitions and models is that they continue to view literacy as a state which can be achieved rather than an ongoing process and group of practices. However much ‘information literacy’ may be praised for being an inclusive term (Doyle, 1994), be evident in the policy documents produced by western governments (Fieldhouse & Nicholas, 2008:50) and seen as ‘essential’ to the success of learners, it has ‘no agreed definition’ (Muir & Oppenheim in Virkus, 2003). It is, in the words of Stephen Foster ‘a phrase in a quest for meaning’ (Snavely & Cooper, 1997:10). How, he wonders, would we recognize, and seek to remedy, ‘information illiteracy‘? However many theorists propose it as an ‘overaching literacy of life in the 21st century’ (Bruce, 2002) and bodies such as the US Association of Colleges and Research Libraries come up with ‘performance indicators’ for the concept (Martin, 2008:159), ‘information literacy’ suffers from a lack of descriptive power. It is too ambitious in scope, too wide-ranging in application and not precise enough in detail to be useful in an actionable way. Even a move from talking about being ‘information literate’ to ‘information savvy’ (Fieldhouse & Nicholas, 2008:47) runs into difficulties for the same reasons. Definitions of the concept are too ‘objective’ and independent of the learner – even when described as ‘seven key characteristics’ (Bruce, cited in Bawden, 2008:22-23). I’m at the annual Schools History Project Conference for the fifth time this weekend and am presenting for the third time. This is the first time that I’ll be presenting without my partner in crime, Nick Dennis, as he’s unable to make the conference. It’s a shame, but it means I can focus entirely on what I did with my Year 10 History class this academic year at my previous school.